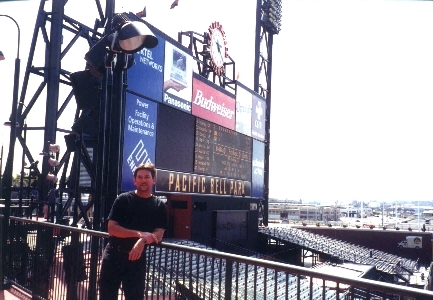 This is me, with the scoreboard behind me. This was taken from the Fan Lot. Gets a little windy out there.